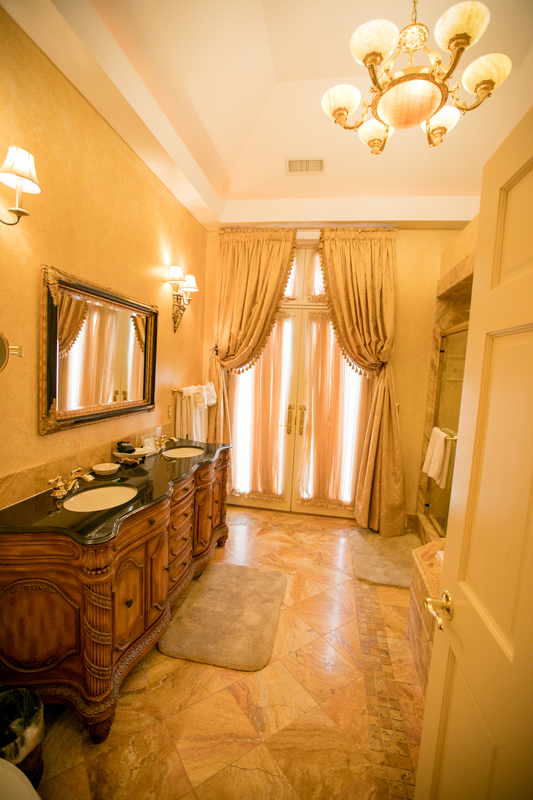 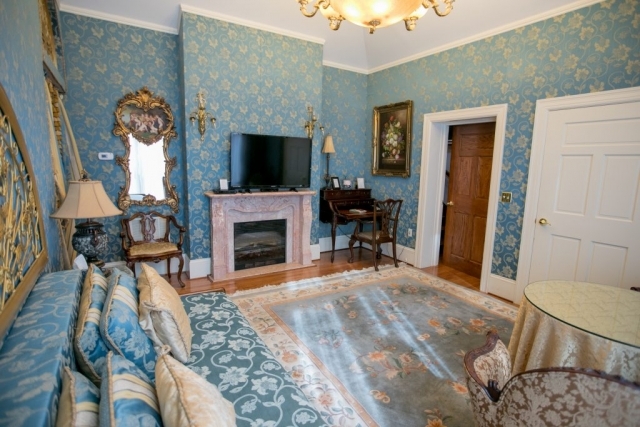 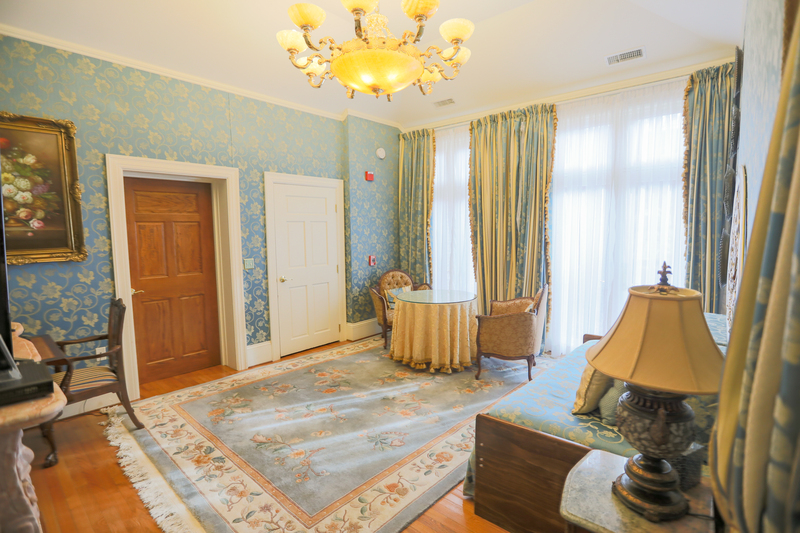 Enjoy this European Renaissance retreat in gold and blue located on the private lower level. 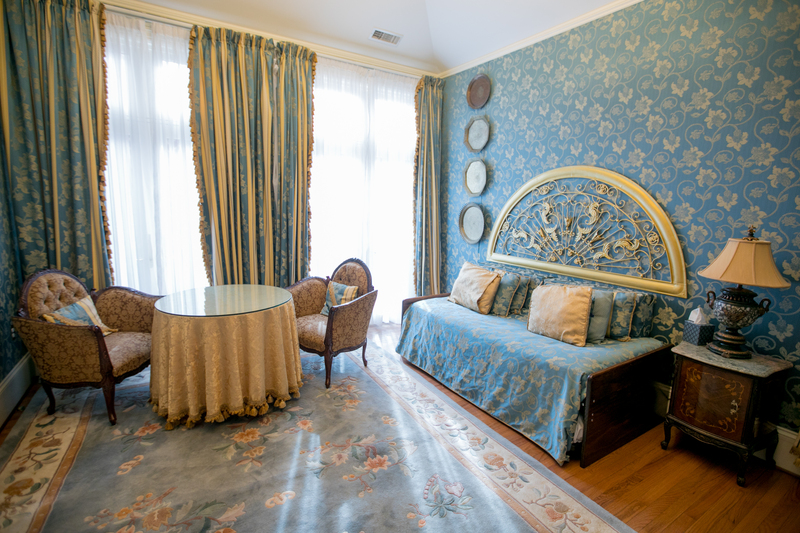 The Cassatt Suite features fabric-draped walls and a four-poster, king-size bed with canopy. 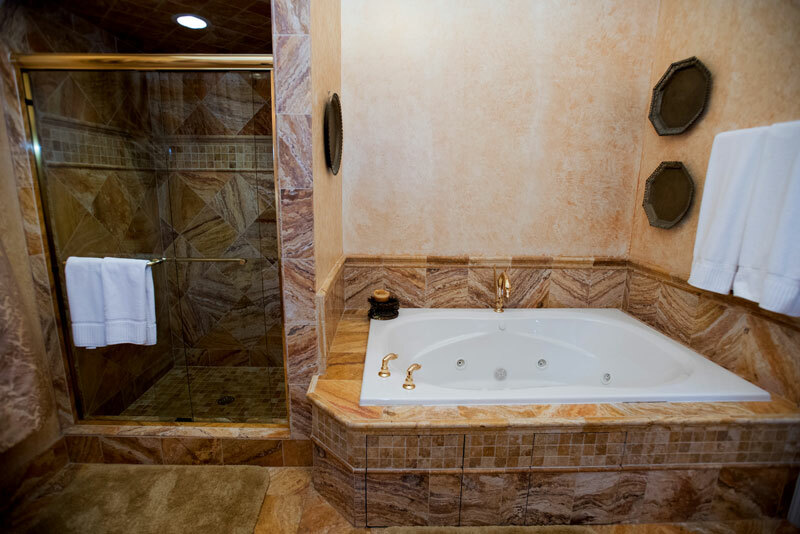 A heated, yellow and gold marble bath floor is accented with a double whirlpool tub, separate two-person shower and double vanity sinks. The sitting room features a daybed and fireplace. 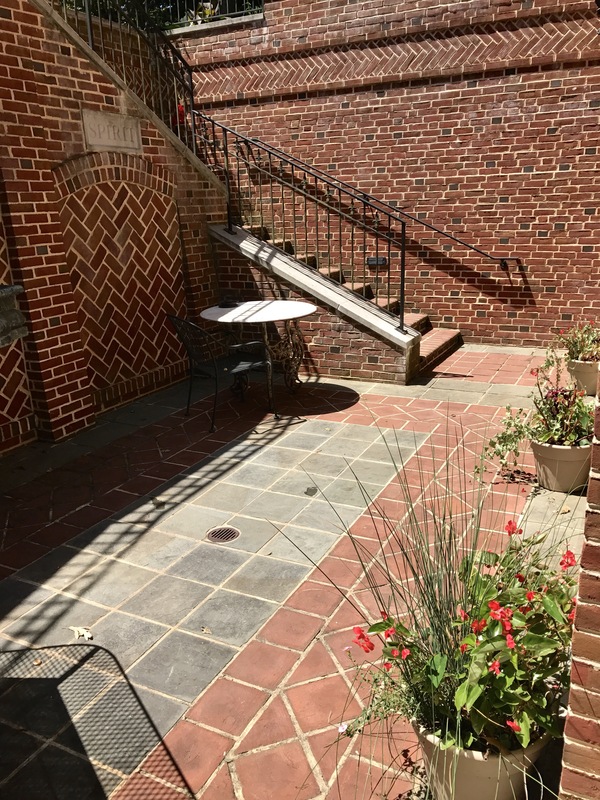 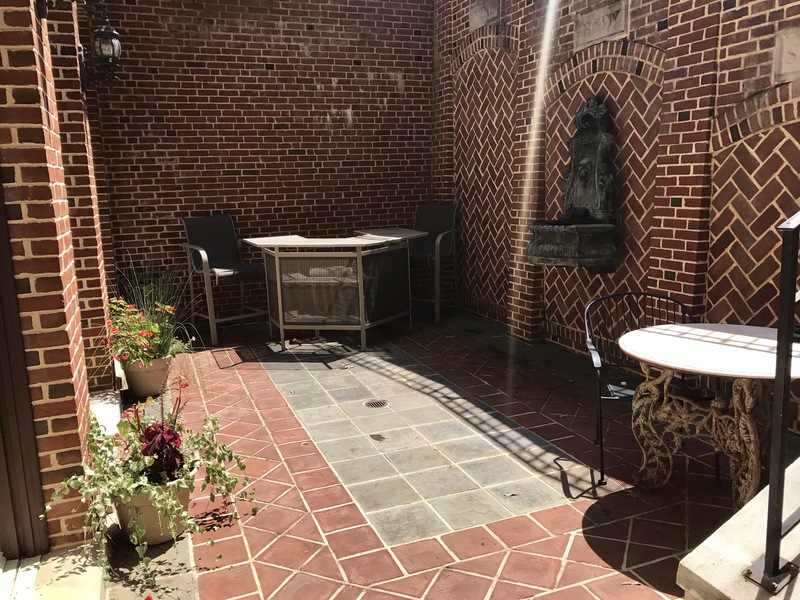 This suite also boasts a large private outdoor terrace with water feature and patio bar, ideal for entertaining after a wedding or private event… a favorite suite for many of our wedding couples!